Here are two examples of the sort of architectural details seen frequently in America early in the 20th Century…but hardly today. I found an old bank building which has now been converted into a community activity center, and even in that capacity it seems to be rarely used today. There were a couple of aspects of the building that caught my eye. 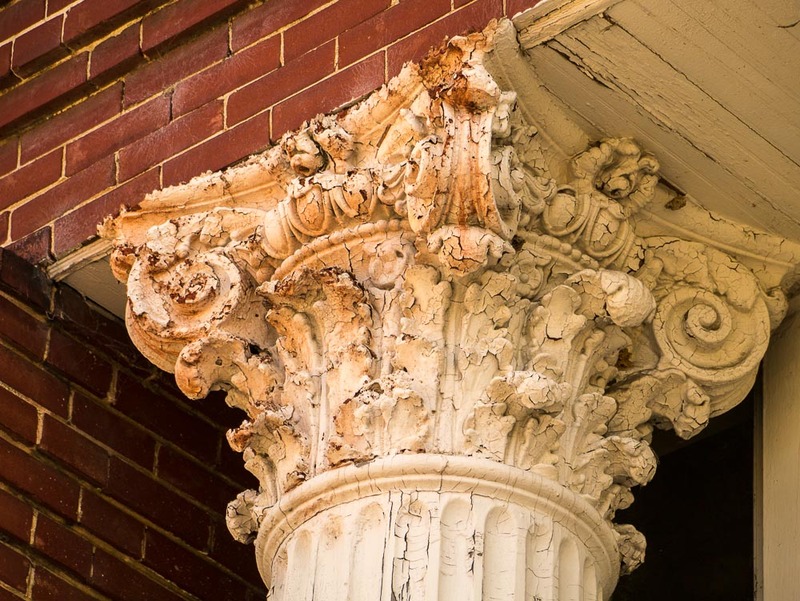 First, the tall roman columns on the front of the building, capped by intricate scroll work as seen in the first photo below. 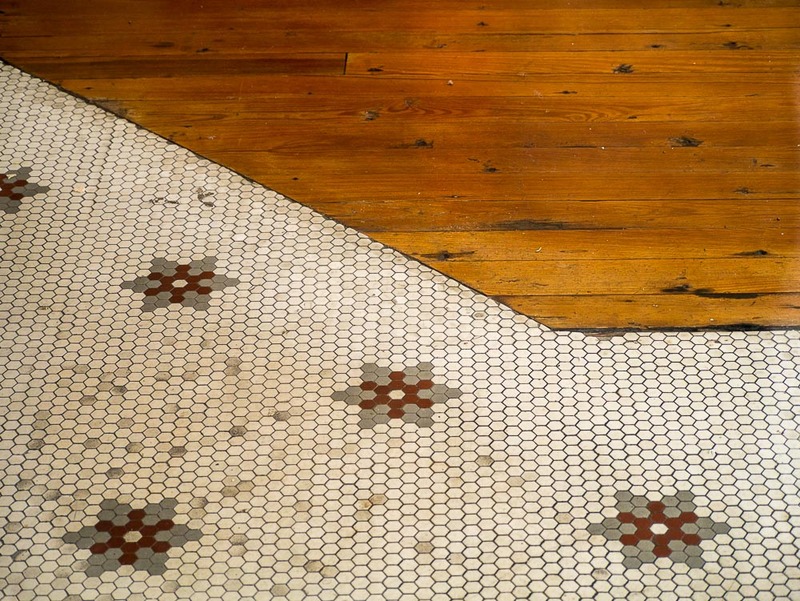 The second was the flooring inside the building seen in the second photo. I assume that the separation between the octagonal ceramic tiles and the worn pine flooring was where the banks’s service counter once stood. I wonder how many customers waited in line at the location where I focused my camera, through the front window of the building. We certainly have an interesting past in the United States…if we’ll just look for it. Great composition Mike. like the colors in the column….. Always looking at the big picture, praise God that your a photographer that make me stop to look at the details.